The SWAN model is derived based on the wave action balance equation with sources and sinks in shallow waters. 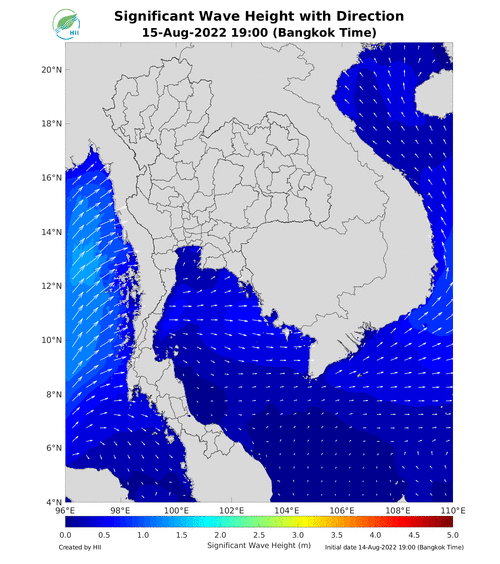 Hence the model is suitable to apply on the Gulf of Thailand where the average depth is approximately 45 metres. The atmospheric forcing is derived from the predicted results of WRF model. The WRF wind field data has been used for the initialization of the SWAN model driving for 7 days. Copyright © 2016 | HII - All rights reserved.